This is a Maharastrian traditional dish. This is a unique combination. Normal combinations with puri would be puri - bhaaji, puri - chutney, puri - sago, puri - channa masala. 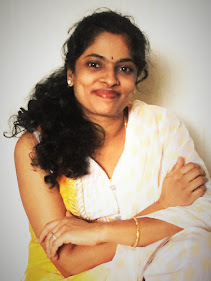 After i got married and came to mumbai i got to know about this dish. First time i saw this was in a hotel when my husband ordered it, i was like what !!!! what sort of a combination is this? Once i saw my husband enjoying it I thought of digging in and to my surprise I liked the combination very much even though it was different. I started doing this at home in the mango season. This was my husband's and my in-law's favorite dish. 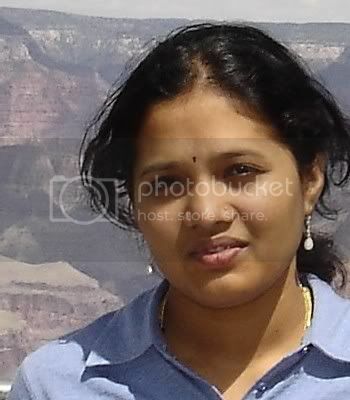 Now my personal favorite too. 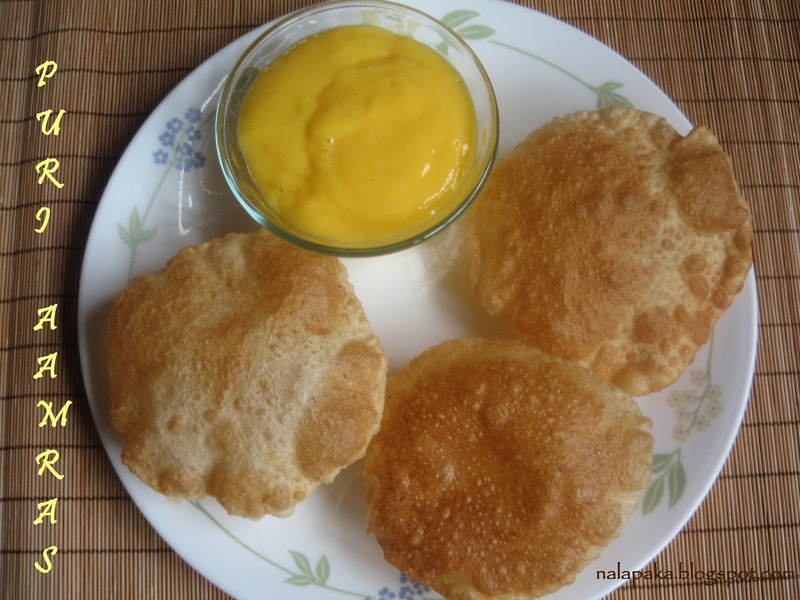 We had a brunch today, Puri - Aamras, a great combo. Blend the above ingredients. Make a puree. Refrigerate it OR Can be served as it is. what a wonderful combo! looks delicious. It seems you have changed your template. Looks beautiful. Puri-shrikhand is another Maharashtrian favorite, right? Looks delicious! gujaratis eat this combo too... i think it's loved by all :) lovely picture! Amaras puri combo looks delicious. 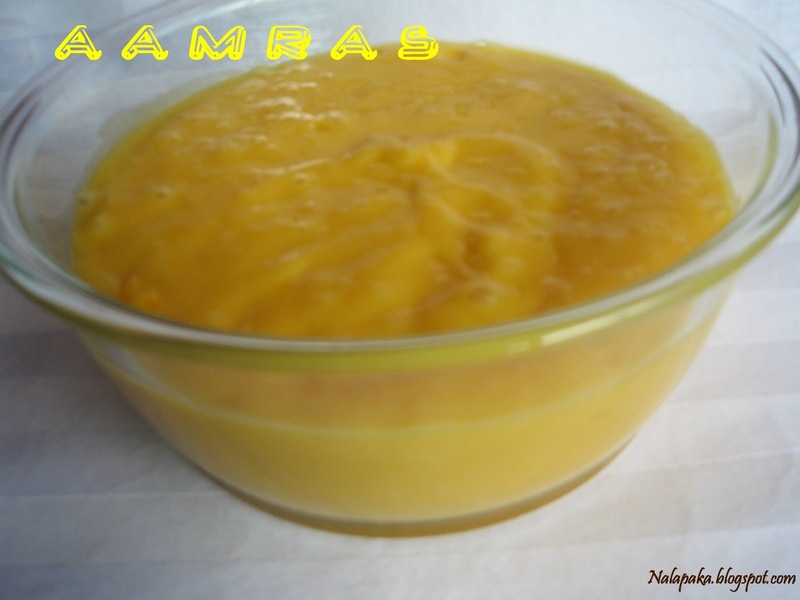 We love aamras. We love it dosa, chapathi, poori, puranpoli..name it. 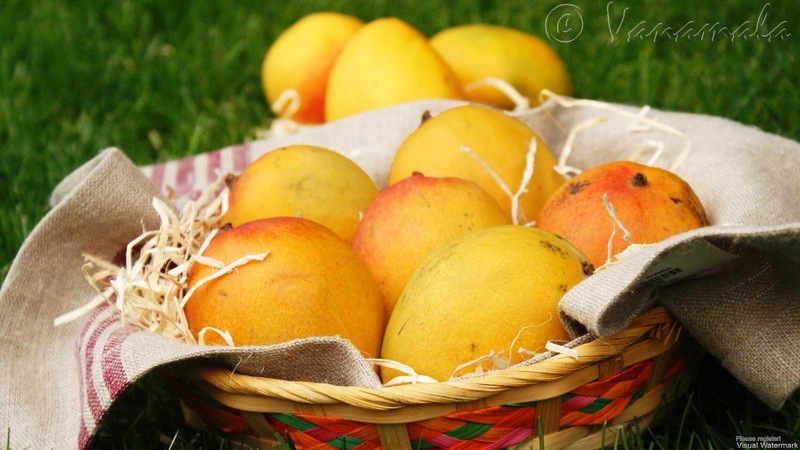 Totally, mango season is a fav one at home! aamras sounds new to me...i will surely try it for puri..
You have completely tempted me to eat this...but I have to completely avoid Mango now at this stage, can't get my eyes off of it. I love mango but never tried Amras !! Hmm.. pic looks so yummy !! shall try it today :)! !